Exploring how risk management and built environmental protection can be integrated into design and construction sustainability principles and approaches. Research in this theme involves material and structural performance enhancement to different combinations of solicitations and the development of novel materials with embedded resilience. We explore design and manufacturing business models that promote sustainable and total lifecycle integrated product development approaches. The design and deployment of digital technologies to support stakeholders’ activities and knowledge needs across the lifecycle of a building project. 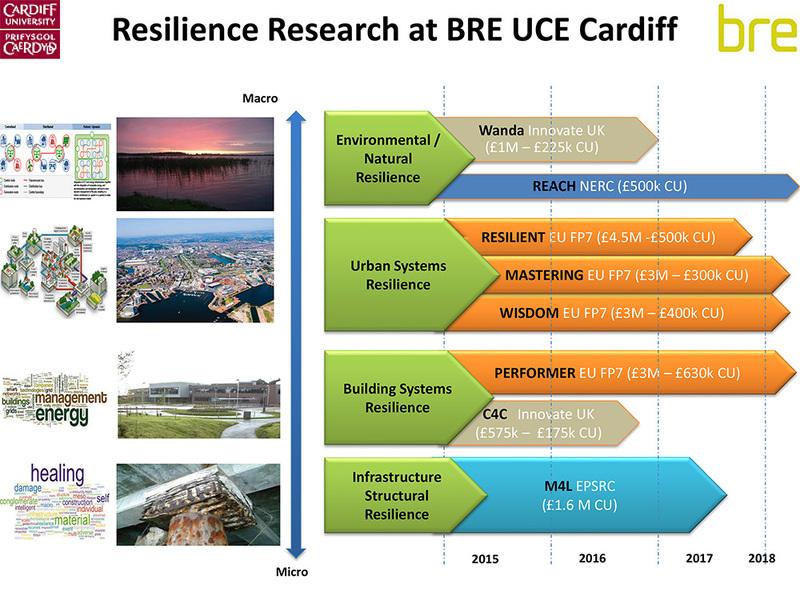 Resilience research presentation by the BRE Trust Centre for Sustainable Engineering. This theme is concerned with management of energy in buildings with a view of delivering lifelong sustainable facilities. The exploration of comfort conditions of occupants and socio-technical aspects that underpin user interaction with buildings and building systems via digital interfaces.